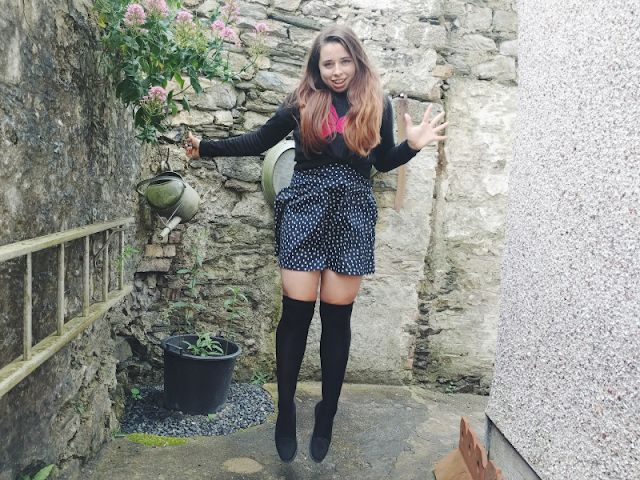 I was hoping to do one outfit post a month after I published my first outfit post back in April but as I haven't done one since then you can see that's gone slightly out the window! I'm still nervous in front of the camera even though I'm the only one present when I take these photos as I do it by remote and tripod myself but practice makes perfect! Hopefully I'll be more regular with these posts after this one. Anyway, on to the outfit itself! As I said in my 20 facts about my Disney life post I'm hugely inspired by Minnie's sense of style - polka dots and bows are definitely right up my street! 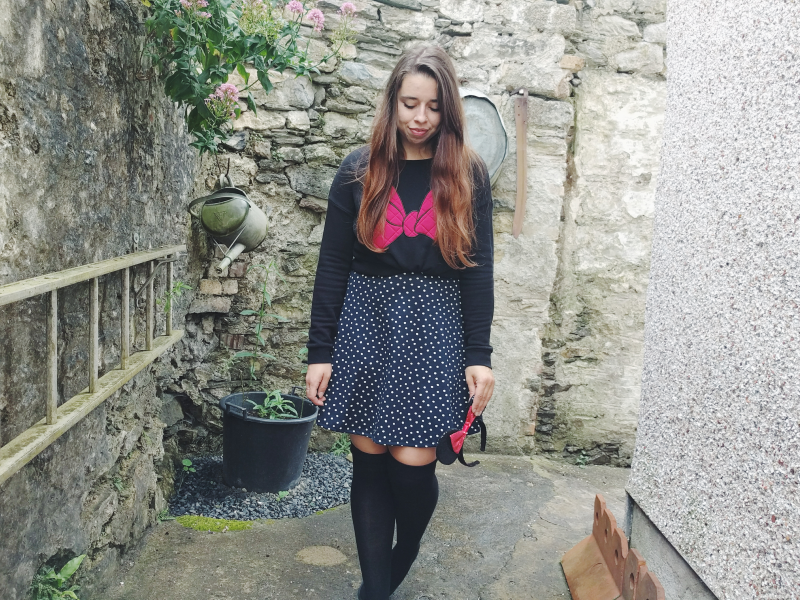 This Minnie bow jumper that I got from the Disney Store last year is the perfect Minnie Style piece. 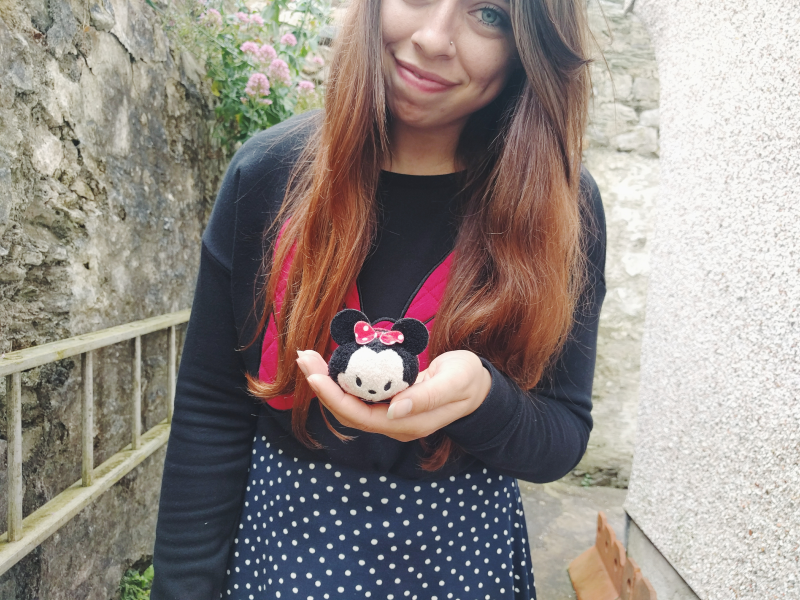 I first spotted it in an Instagram picture someone had taken of a Minnie display at last year's D23 Expo and I fell in love with it instantly so I couldn't contain my excitement when it popped up on the UK store! It's so cute but it's not in-your-face Disney which I really like. 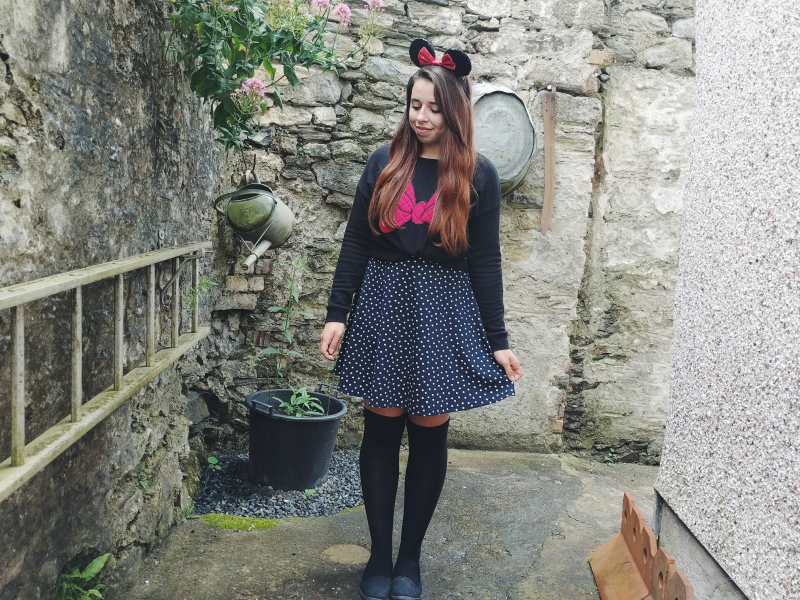 I thought the jumper would work really well paired with this polka dot dress and Minnie Mouse ears from Primark which were both actually super cheap! The dress was only £7.99 (hence why the majority of my wardrobe happens to be from H&M!) 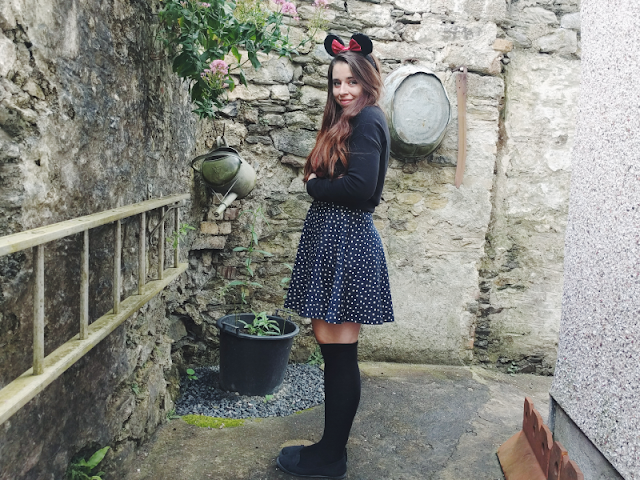 and I think the ears were something crazy low like £5! Despite the teeny price tag they're actually super comfortable. I don't shop in Primark much anymore for their normal clothes but their Disney and other fandom merchandise is so, so good!